​This is a CMAC video of an failed intubation attempt with a size 3 Mac curvature blade, 7.0 endotracheal tube (ETT), and 14F flexible stylet. This video is of the subsequent attempt on the same patient with the same equipment. Can you guess why this attempt was successful? In the 1st attempt the intubator is trying to insert the ETT past the vocal cords with the stylet fully inserted. In the 2nd attempt, the ETT tip is placed just past the cords, but then the stylet is gradually withdrawn as the ETT is advanced. 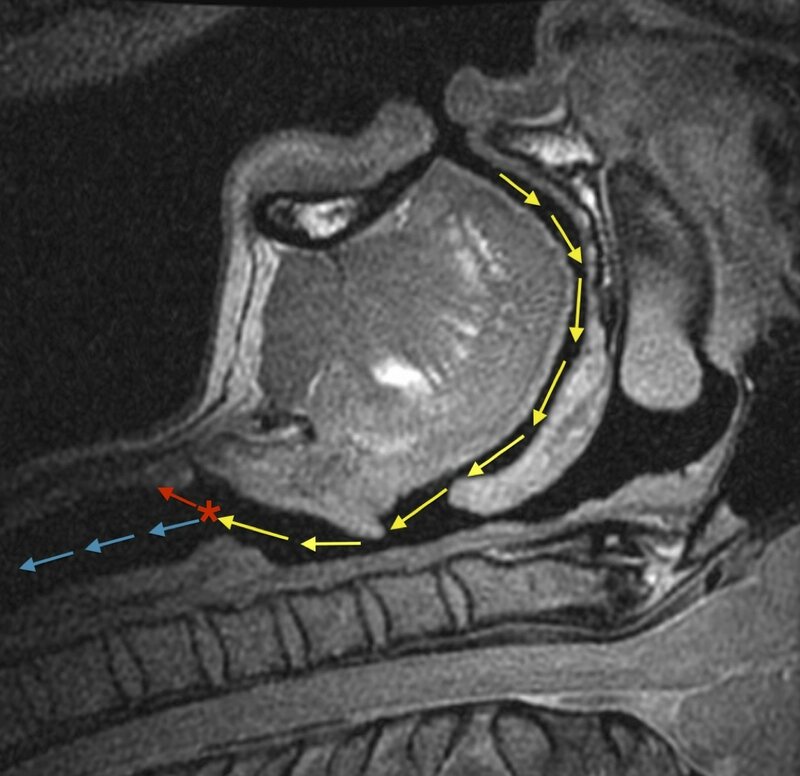 The rationale for this has to due with the dynamic curvature of the upper (yellow arrows) and lower airway (blue arrows). As you make your way past the pharynx to the level of the vocal cords (red asterix), the path into the trachea bends posteriorly. While a stylet bent in the typical 'hockey stick' will assist in following the curvature of the pharynx to reach the glottis, once past the glottis it will bump into the anterior wall of the trachea (red arrow). The importance of stylet withdrawal is typically taught in the use of a rigid stylet with video laryngoscopy by a hyperangulated blade (e.g. CMAC D-blade or Glidescope models). The above case demonstrates that even a flexible stylet is not flexible enough to conform to the curvature of the larynx.